The application links for the cards mentioned in this post have been removed because they are expired. Click here for the top current credit card sign up bonuses. Frontier Airlines is the eighth-largest airline in the United States with a hub in Denver and service to Alaska, Mexico, Jamaica, the Dominican Republic, and Costa Rica. Frontier is rarely–if ever–discussed on miles blogs because it’s small, doesn’t have first class, and has a paltry elite program. But there is tremendous value on the Frontier award chart for domestic travelers and travelers to the Caribbean and Mexico. Among region-to-region mileage programs, Frontier has the cheapest domestic awards. All the legacy carriers charge 25,000 miles roundtrip; Frontier charges 20,000 miles. Frontier awards can be flown as oneways for half the price of roundtrip awards, so 10k miles each way domestically and 15k abroad. This puts Frontier in the good company of United and American, and looking down on Delta and US Airways, which charge the roundtrip price for oneway redemptions. Frontier awards do not have any fees or surcharges, just government taxes. Frontier only has one hub–Denver–from which it flies all over the country and internationally. But Frontier has a number of cities where it flies to several destinations. For instance, it’s newly opened Princeton/Trenton routes have nonstop service to ten cities (and triple miles through May.) So check Frontier’s route map to see its service from your home airport. Frontier also serves its international destinations, particularly Mexico and the Dominican Republic, from a number of cities. All Frontier mainline flights are operated by A318s, A319s, or A320s with all economy-class configurations. Economy class has the industry-standard 31″-pitch legroom. Each plane has several rows of STRETCH seating with 5+ extra inches of legroom. STRETCH upgrades cost $15+ from the cheapest tickets but are free for Frontier elites. Each seat has a monitor with 30 channels of DirecTV, which costs $6 per flight. Drinks cost $1.50+ and are free for elites. The first and second checked bag are $20 each, and are free for elites. Frontier’s frequent flyer program is similar to the legacy carriers’. You earn one mile per mile flown on tickets booked at flyfrontier.com. You earn mileage bonuses for buying more expensive fare classes or for having status. Note: you only earn 50% of miles flown if you book your cheap tickets from travel agents other than Frontier. There are two levels of elite status: Ascent and Status. It only takes 25,000 miles flown to get top tier Summit status on Frontier with free bags, free STRETCH class, free booze, free changes, free standby, and a 50% bonus on miles flown. Awards can easily be booked online at flyfrontier.com. Just perform any flight search and check the Redeem Miles box. I’ll give an example of a domestic flight and an international flight search and one big tip. To perform an award search, simply click the Redeem Miles check box at the top of the Book a Flight screen. You must sign in to your Frontier account to perform award searches, so sign up for one now if you don’t have one. I got a free 500 miles for signing up without using any bonus code. Your search results will come up like this. Your search is automatically performed +/- 3 days, and the lowest miles price each day is displayed. The initial calendar said only April 11 had a 15,000 miles oneway to Mexico. But in fact every day except one between April 8 and 14 has a 15,000 mile award. This is common. Space is incredible on every Frontier route I searched. Anyone used to searching for award space on the legacy carriers will be floored by the availability, which is present on about 90% of the individual flights I saw. My roundtrip from Denver to Puerto Vallarta priced out at 30,000 miles and $80! I also checked a domestic award from Los Angeles to Tampa, which connects in Denver both ways. Space was available every day for 10,000 miles each way after I did my click-on-every-day trick. The Frontier Airlines World MasterCard offers a 40,000 mile bonus after $500 in purchases in the first 90 days. Cardholders get a 5,000 mile discount on companion awards. That means if the cardholder books a 20,000 mile domestic award, he can take one companion for 15,000 miles more. That means the 40,000 mile sign up bonus is good for two roundtrip domestic awards anywhere Frontier flies including Alaska with 5,000 miles left over. What intrigues me about the 5,000 mile discount is that neither the bullet point on the card’s landing page nor the fine print at the bottom says the discount applies only to roundtrip awards. If the discount applies to oneway awards, then you could actually get two roundtrips for 30k miles by booking each way separately. Example: I book myself and a companion from Los Angeles to Tampa. My award is 10k miles; hers is 5k miles. I book the return at the same prices–10k + 5k + 10k + 5k = two roundtrips for 30k miles. I hope to get a Frontier card with a future application, so I’ll report whether this is possible. If you already know the answer, please share in the comments. The card earns double miles on Frontier purchases and has a $69 annual fee. Issued by Barclay’s. 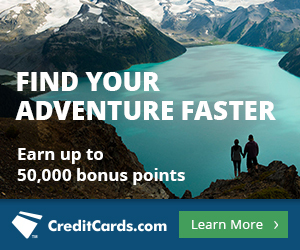 Barclay’s has only two other travel cards worth getting, the US Airways Premier World MasterCard with 30,000 US Airways miles after first purchase and the Barclaycard Arrival(TM) World MasterCard® – Earn 2x on All Purchases with 40,000 bonus miles after spending $1k in the first three month. Since the best practice is to apply for only one card per issuing bank per app-o-rama, it’s nice to include a new card from Barclay’s. The spending requirement is so low at $500. It won’t add much strain on top of the many cards with $5,000 minimum spends that I apply for. It’s a MasterCard, so it is accepted virtually everywhere. American Express Membership Rewards transfer 1:1 to Frontier. American Express collects $6 per 10,000 Membership Rewards transferred to Frontier like it does for transfers to other US-based airlines. I have never made a transfer. Frontier says it is usually instant but can take up to 24 hours. Frontier will let you hold an award ticket for 24 hours while you wait for a Membership Rewards transfer. I explained the earnings structure for flown miles above. Frontier Airlines has an amazing award chart if you want to fly where it flies–Denver, under-served US airports, Alaska, Mexico, the Dominican Republic, Costa Rica, and Jamaica. Frontier’s miles price is lower than all the legacy carriers to all of its destinations. Frontier has incredible award space on all the routes I searched. Frontier doesn’t charge any fuel surcharges on any awards. If you can handle economy flights–and I can on Frontier’s sub-five-hour flights–Frontier even has a decent economy product because of the DirecTV at every seat. Frontier is a viable Membership Rewards transfer option if you want to fly to its destinations. And I’ve added the Frontier credit card to my future applications’ list. Hat Tip to Jacob Vanags for reminding me of the AA off peak awards to Mexico and the Caribbean on its own metal. Next articleBargain Flights to Istanbul for Under $450! I just got approved for my third US Airways MasterCard. I even had one open at the time. Yes, I have written about this before. It’s an easy way to get the 40k miles twice or three times! You are the man bro. Always providing the newest and best info. Thanks! Have you heard of anyone actually utilizing your tip to get 2 roundtrips for 30k miles? Or is this just a hypothetical? And if it’s just hypothetical, did you try to price it out to see if it works? Thanks for this though! I will probably try for my 2nd US Airways MC on my next AOR, but will keep a note of this for the future. As noted in the post, I have not tried this. I don’t think I can try it until I get the card, so I won’t be able to try for a while. Barclay’s actually closed my USAir few days after they approved it 🙁 They can do that… Anyways, thanks for the alert on this one! Do you know of any free stop over possibilities in Denver or any other place. Could not find their stop over/open jaw rules if any. Can we piece together an itin from north america to say costa rica and will price at 15K one way if we stop overed in DEN? I didn’t see any info on stopovers either. I will call and ask. Is there another airline that others would say is a better choice if I do frequent travels between the New England Area and the Seattle/Bellingham/Vancouver area? Does Southwest fly to the places you want? Spirit? Strange, I searched for award travel between SFO and ANC and the only option was to spend 40,000 miles for 1 person. I checked on the website and they have a Standard award chart (i.e., saver and what’s shown in the post) and a Choice chart, which is double or nearly double the miles for the standard award. Probably not very useful for those of us that don’t have a big Frontier presence. Yes, that must be the Choice price. I didn’t search Alaska routes, so I can’t comment on that availability. What makes you think it can be award ticket? Because I failed that reading comprehension! Thanks. Great post. It looks like Frontier miles can be bought at 2.5 cents each (plus 7.5% tax), and the minimum increment is only 1000 miles. While this isn’t cheap, it’s cheaper than the standard prices for a lot of legacy carriers, and might be useful in some last-minute booking situations, given the lack of penalties and wide-open availability. I noted that to take a look, but here’s a better deal if you have AMEX Platinum or Gold. AMEX will loan you up to 60k points if you have Plat and up to 15k if you have Gold. If you earn those back, you pay nothing for the loan. If not, you pay 2.5 cents per unearned point, which is a little less than buying from Frontier because of the tax. Being based in Denver, I have flown Frontier for years. Aside from all the benefits you list above, one of the main reasons I like flying Frontier are the employees. For the most part they seem to enjoy their jobs and provide friendly service. Of course there are exceptions, but it seems that every time I fly UA or AA I end up feeling like I’m an inconvenience to them. Two of my favorite redemptions are 10,000 miles Den-Anc and Den-Mco. Those flights can often run $250-350, so 10k miles are great! Also, their stretch seating is definitely worth it. how do you qualify for the second or even third US Airwys card, dont they know or have you on file if you have the card. could you clarify how to apply for the second card ? This is nice because in churning Barclays it’s nice to have card rotation possibilities like Chase. I got a US, then got a 2nd US, soon after cancelled the 1st and opened a Lufthansa. Months later closed it and immediately opened another US. Frontier will be even better as a “placetag” card to hold a credit limit. My experience is that unlike Chase, Barclays’ agents will not transfer a credit line to open a new card. But they can see a card you have just closed and on the phone if you mention that fact they will easily open the new card. Thanks for that info on their reconsideration procedures. That’s a big change. Since the flight is so far off, I would suggest that you continue checking. 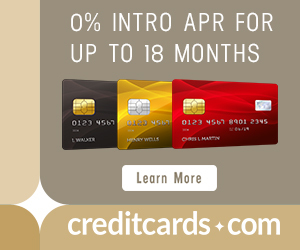 I would strongly advise avoiding this credit card/airline/miles program! After many calls to Frontier, Barclays, and back and forth, it is clear that I am not going to get the 40,000 points that I completed all requirements to receive. They saw that I spent $546 in the first month and I had waited 8 months but neither side would resolve this.